Nathan Blair, only 18 years of age, has made his mark with football; the best part, his career has only just started. Nathan Blair started playing football at a young age, as a youngster he was adamant about football being the one sport that stood out “It was always footy”. Nathan started playing with Romsey a local football club as a junior, moving onto playing with Calder Cannons before finding home with the Coburg Lions. As a youngster Nathan played as a midfielder before finding the perfect position as a defender. Being able to play multiple positions as a young footballer is an indication of versatility; an aspect that will most definitely benefit Nathan in his career as an aspiring footballer. Nathan was awarded the Most Courageous Award during the 2013 TAC season with the Calder Cannons, one award that Nathan is extremely proud of. “Winning the award was great, to receive recognition not only for my ability as a footballer but also at that level, was a proud moment for me”. Playing with Calder Cannons was only the beginning of his career as well as the beginning of showcasing his talents as a defender. Signing on with Coburg has being a great thing, being close to home was a benefit, but the comfortable feeling of Coburg as a club as well as the warm welcome from the senior boys makes Coburg feel like home. 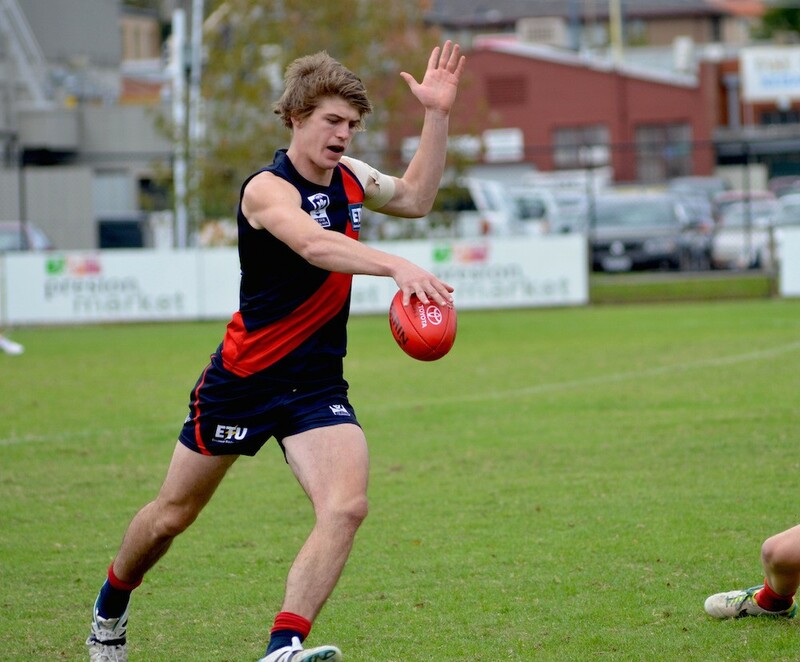 Without a doubt, Coburg is home to all the players, Nathan is not only excited to be playing for Coburg but also to be playing under the instructions of Germo. “He’s tough, but the younger boys need tough”. As a player, Nathan has the same goal going into each game, “Play to the best of my ability”. Nathan thrives on working his best, perfecting his skill as a defender and to always ensure his hardest is put in with football; playing professional football has always been an aspiration, Nathan vows that football is where he belongs. Whilst writing this piece, I found out Nathan already has a strong believer in his abilities as a footballer, personally it was great to see Nathan already having a cheer squad. “I’ve known him for quite awhile, he’s just great. I believe AFL clubs will admire his mental and physical capability as a player, variety of roles he can taken on as a footballer and hopefully in a few years he does get drafted; I believe he has what he takes and I know one day he’ll be a great professional footballer”. Like all the players, Nathan has faith in Coburg doing well this year, by playing out the instructions given by Germo, team involvement as well as working hard going into each game, eventually leads to great outcomes; being and playing like a team is the most important factor. Being a part of the winning side last week against the Northern Blues was a great highlight and a great start for the new season as a standalone club. Playing at VFL level is an accomplishment each player should be proud of, throughout his career, Nathan is adamant in pushing himself to reach the highest level of football. As any young aspiring footballer, the road to becoming a professional player is extremely hard; Nathan is wary of the hard work ahead of him but when you love what you do, the hard work is definitely worth it.